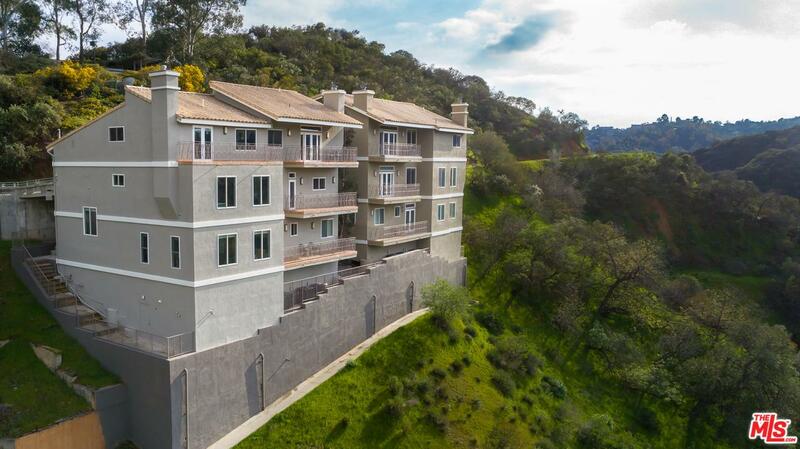 Extra large, newer construction canyon view home at an incredible value! Grand entry foyer leads to expansive living area with many picture windows. Large chef's kitchen is complete with professional Wolf range and large Sub-Zero refrigerator, generous counter space and eat-in bar. Four generously-sized bedrooms plus an office, including two master suites which both encompass an entire floor with dual walk-in closets, en-suite baths. New paint and engineered wide-plank oak floors floors throughout. Centrally located in the Hollywood Hills off of Mulholland Drive and "Celebrity Row". Minutes to The Sunset Strip, Ventura Blvd, West Hollywood, major studios, restaurants, entertainment and night life! Based on information from CARETS as of 04/20/2019 4:56 pm. The information being provided by CARETS is for the visitor's personal, noncommercial use and may not be used for any purpose other than to identify prospective properties visitor may be interested in purchasing. The data contained herein is copyrighted by CLAW, CRISNet MLS, i-Tech MLS, PSRMLS and/or VCRDS and is protected by all applicable copyright laws. Any dissemination of this information is in violation of copyright laws and is strictly prohibited.